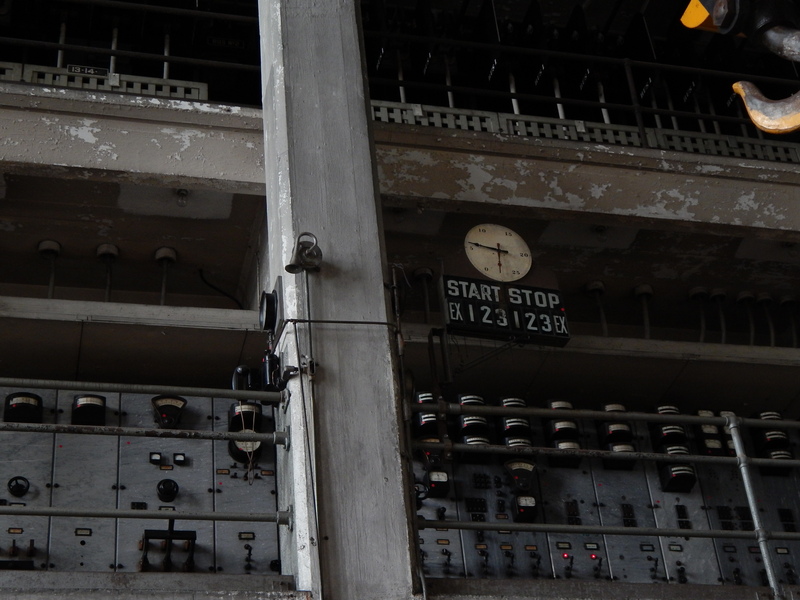 Georgetown Steam Plant was full of gauges and control panels. Let’s talk about visual overload for my camera and me. Similar to the Seattle Electric Company Plant Stairways post let us go around the building in order that I saw them. At first I was fascinated by these oilers. The workmanship of the brass and glass is from a time before things were made in foreign countries. 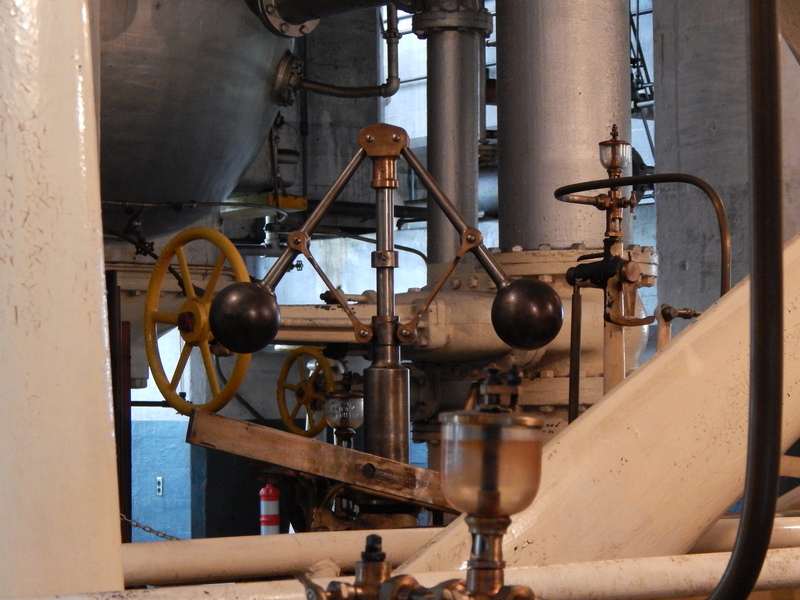 This next piece of the machinery must have twirled and turned as the machine worked. 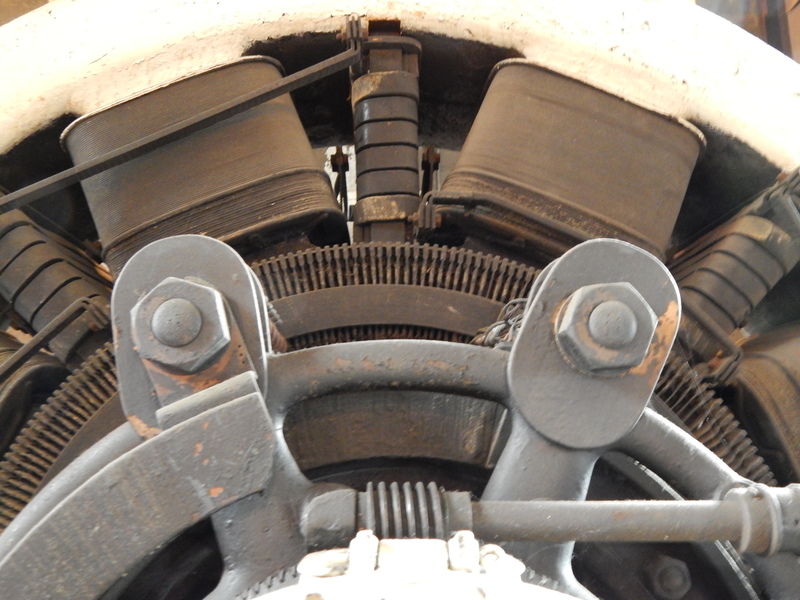 Then I turned to the big generator made by General Electric over 100 years ago. Not only do I have good shots of its inner workings but of the manufacture’s plate. Let us get down to the gauges and there was plenty of them. Some looked like they belonged on a ship and some had pipes and faucets around them. A delight to the mechanical eye. Is this the bridge of a ship? In the boiler room area there was a few tools and other odd things from the century past. They were dusty and just lying around like the workers had left them decades ago. This added to the unsettling feeling that I had interrupted someone. 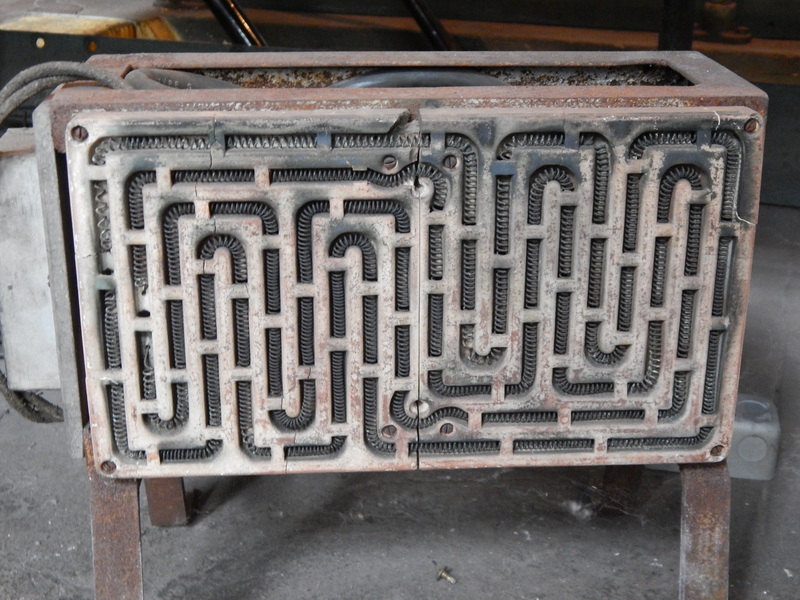 I was fascinated by this old heater and how its coils on the outside were visually delightful. Remember the mystery stairs photo? 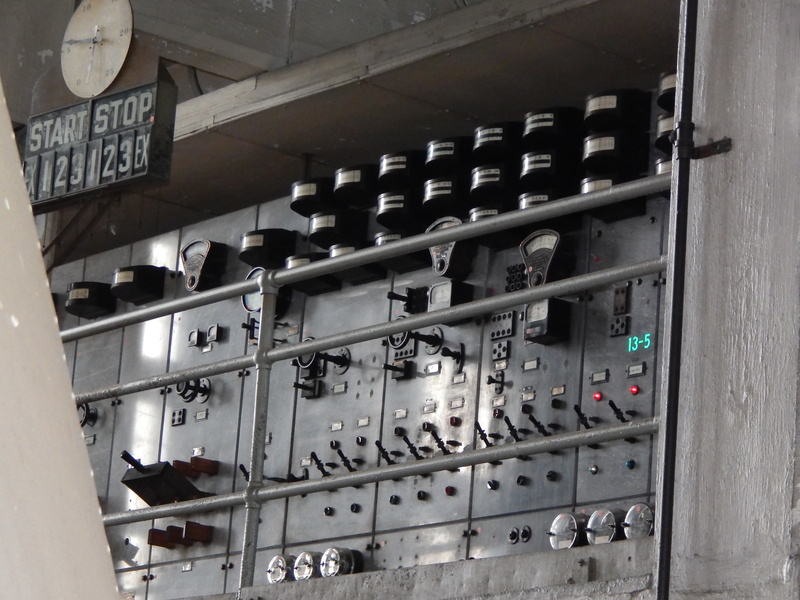 At the same time I came out of the boiler room and took that shot I captured the control panels on the third level. This multiple tier kind of reminded me of Alcatraz too. This next photo gives you a better look at the start stop dial and the wench hook that hung from the ceiling. I recently received a comment from Clyde Furd who told me that the dial may look like a clock (which is what I thought it was originally) but it really shows the electrical output of the plant when it is running. It has numbers from 0 to 25 megawatts. The hook in the upper right corner is a 50 ton crane. Everyone thinks that round indicator is a clock, it is not. If you look closely you will see the numbers go from zero to 25 and in reality it is an indicator of the electrical output when the plant is running measuring thousands of kilowatts, or megawatts if you prefer. The “wench hook” is a fifty ton capacity crane. Up until City Light removed power early in 2016 the crane was fully operational. Thank you so much for the facts on the Steamplant. This how we carry on the history of something so special. I am going to do a little update on the post with this new info. Unfortunately the plant was shut down for most of my time there. It was beastly cold in the winter as the wind would blow right through the place. However, in the summer it never got too hot. It saddens me that Seattle City Light refuses to acknowledge anything done by the Georgetown PowerPlant Museum, Inc. during the time that SCL all but ignored the facility. It saddens me that SCL has been wasting time and money installing electric heaters that will prove to be ineffective when they could have spent the same amount of money in putting the steam heating system back in operation. I used to love giving tours, demonstrating how the boilers were fired and running the reciprocating air pump as well as the exciter generator that would light a string of lights under the bridge between the vertical turbines. Alas, that is never again going to happen because SCL has made it clear they want no steam in the plant and no dynamic demonstrations of the machinery. SCL volunteer tour guides have never seen the plant in operation and have no steam experience of any kind. The biggest complaint against the GPM was that we had such limited hours of operation but SCL has even more limited hours.